Equipping the generations to love God and love their neighbors is serious business. Unless we intentionally guide our kids to consider and respond to the needs of others, we risk unleashing more selfish people into the world. But if we will model for our kids what it means to be concerned about the welfare of others and how moving in the direction of people in need glorifies God, we can raise a generation that will change the world — that will have the courage and audacity to dynamically live out the gospel. 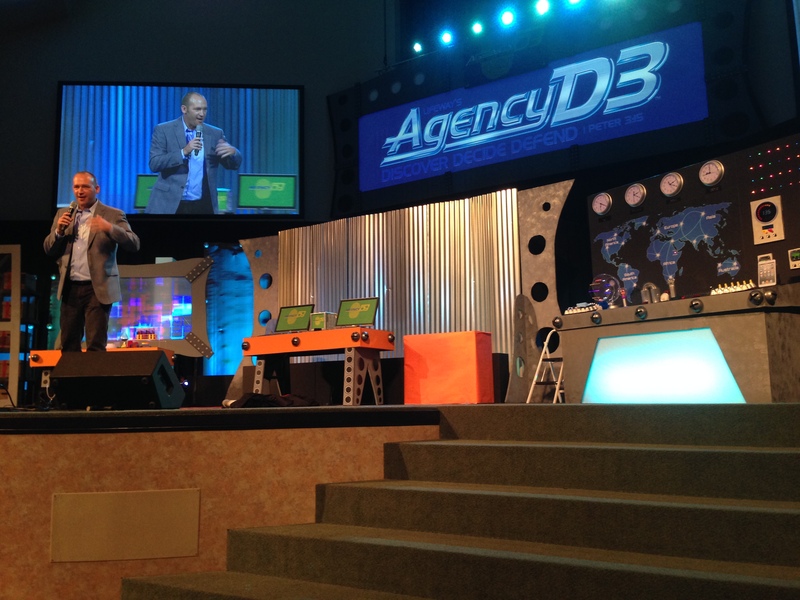 Brian Stone, our Generations Pastor, greeting our VBS Family Night crowd. Every year we make it a point at Kingsland to make the most of Vacation Bible School, the week that kids descend on our campus in biblical proportions. Our teachers not only prepare creative Bible lessons and meaningful crafts, songs, and activities, we also challenge our kids to help change the world for kids in need. This year we used our daily missions moments in worship to teach our kids about the plight of unaccompanied Eritrean refugee minors who have fled their troubled country to seek shelter in Ethiopian refugee camps. 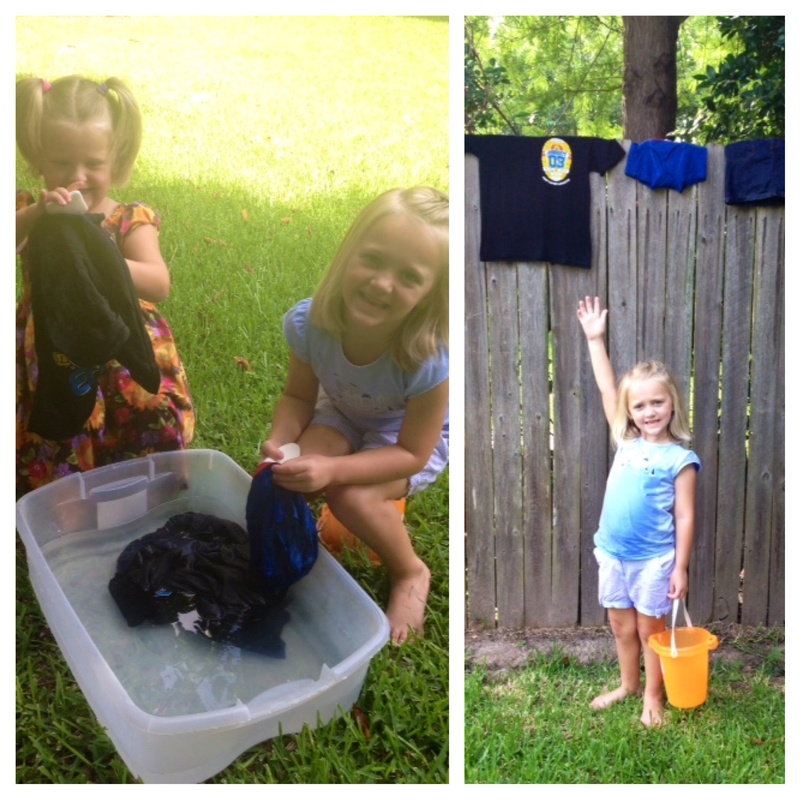 Sisters Cassidy and Chloe learning how the Eritrean kids do laundry. Our kids took the challenge to help Eritrean kids to heart. They understand that God can use them to make a difference now, that they don’t have to wait until they are all grown up to help change the world. Today I heard about one of our kids who told his mother that he wanted to give all of his savings to help the Eritrean kids. When asked if he wanted to keep a little aside for some trips to the store to buy toys, he replied that the Eritrean kids needed help more than he needed toys. A gift for the Eritrean kids from sisters Kaitlyn and Madison. Some of the kids attending VBS set up two lemonade stands to raise funds to help the Eritrean kids. One lemonade stand made $27 and another $43. Kids from another church asked friends from their church to help. They collected $65. One girl sold all of her Barbie dolls online with the help of her mother and made $20. 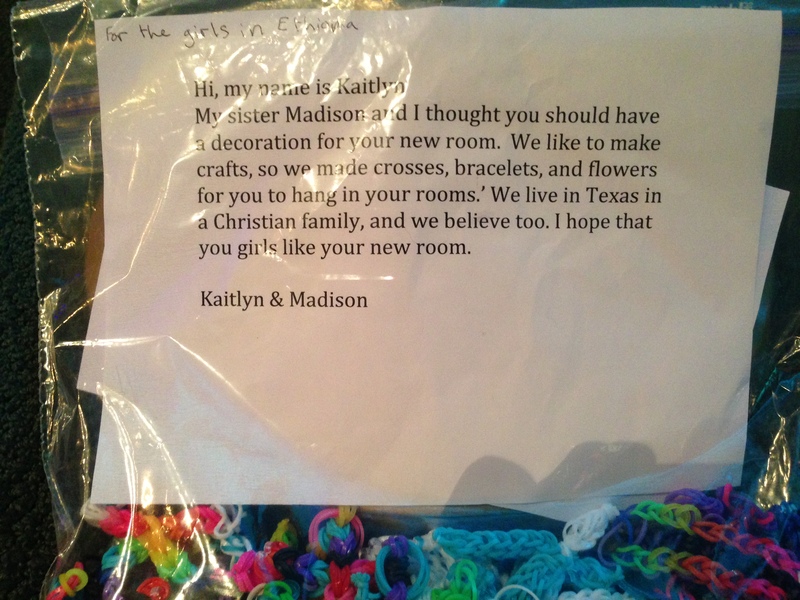 Two girls made rainbow loom crosses and put them in a baggie for us to take to the kids when we return to Ethiopia. Other kids gave their personal allowance and birthday monies. The cool thing is that each of these kids gave what they had with cheerful hearts and great expectations that their gifts will indeed make a difference. With Dr. Jerry Squyres and some of our VBS leaders. 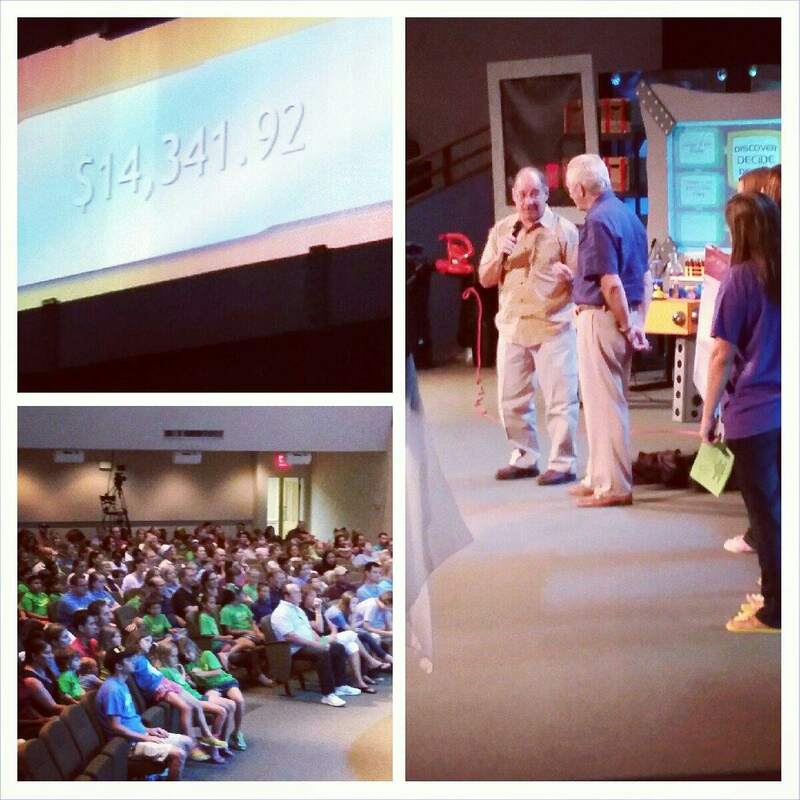 At this evening’s VBS Family Night event, we revealed the total of funds given by the kids and also some caring adults. 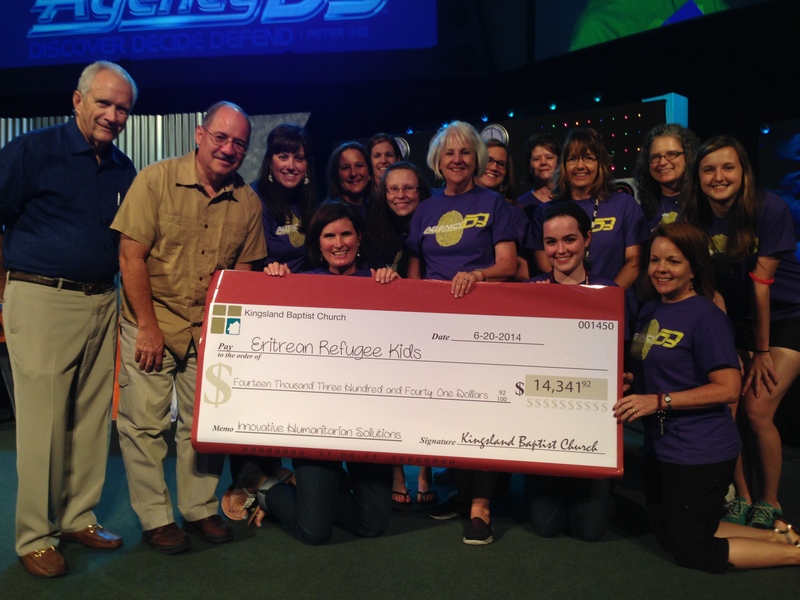 The grand total given to help build a safe dormitory with bunk beds for the Eritrean refugee kids was $14,131.92. These funds along with other funds contributed by our partners at Innovative Humanitarian Solutions means that work can start immediately on this new facility for kids. Dr. Jerry Squyres, my friend and mentor and founder of IHS, and his staff will oversee the work in Ethiopia. Celebrating our missions offering total. I am proud of our kids for all that they did this year to respond to a need half a world away. Their gifts and prayers will make a difference in the lives of kids they will never meet. Thanks also to all of the parents and teachers who answered questions and helped our kids to better understand why we need to think about and help those in need. Our investment in this generation will make a difference in the next generation. Thanks, Habte. It was nice meeting you in Ethiopia. Thanks for your work to help the Eritrean refugee kids.